Nutty, creamy or crunchy? Peanut butter has always had a place in American culture and is a staple in over 90% of US households. The average person consumes more than six pounds of peanut products each year! If you’re looking for some new ways to consume all that peanut butter, I’ve gathered 30 of the BEST Peanut Butter Dessert Recipes for you to fall in love with. Dr. John Harvey Kellogg (of cereal fame) invented a version of peanut butter in 1895. Then, George Bayle, a St. Louis snack food maker, developed a version of peanut butter as a protein substitute in the 1890’s for his older patients who had poor teeth and couldn’t chew meat. Peanut butter was first introduced at the St. Louis World’s Fair in 1904. For many years, manufacturers struggled with the oil separating from the grainy solids of the peanut butter. In 1923 Heinz became the first company to homogenize the peanuts into the spreadable butter we know and love today. Before long peanut butter was a classic American food. Did you know it takes 550 peanuts to make a 12 ounce jar of peanut butter? Peanuts are cholesterol free and an excellent source of protein. In fact, it’s the high protein content that causes peanut butter to stick to the roof of your mouth. We joke that my husband bleeds peanut butter, so we always have a large jar or two in our pantry! 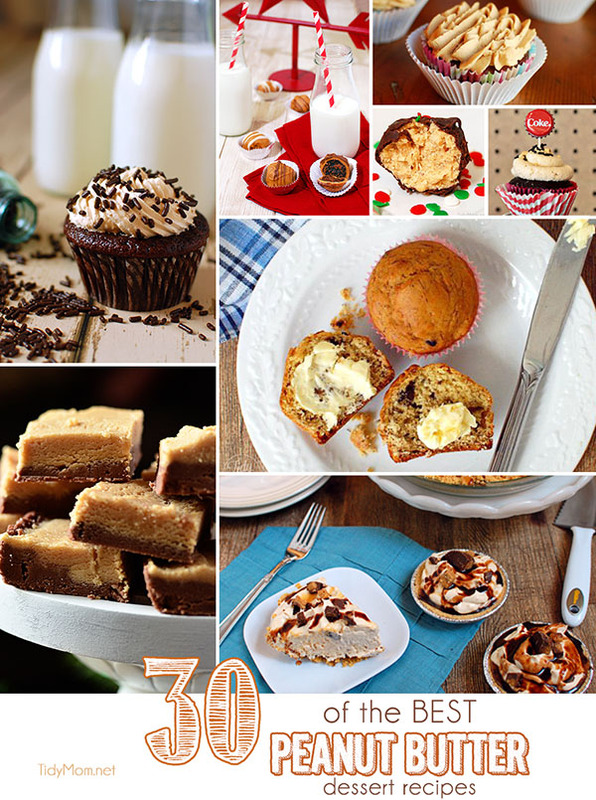 Which might explain why I have over 20 peanut butter recipes here on TidyMom. I’ve gathered up all of my peanut butter dessert recipes and a few others from some of the top food blogs to bring you 30 of the BEST Peanut Butter Dessert recipes. 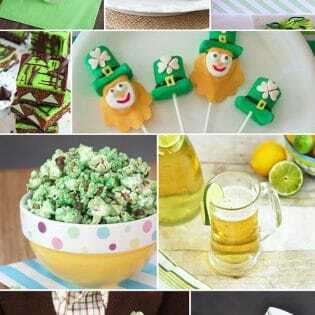 You will find muffins, breads, cookies, cakes, pies, brownies, popcorn, turn-overs, fudge, even dog biscuits and so much more! 15. Peanut Butter and Banana MuffinsIt’s the motherload of peanut butter recipe goodness! Thanks for the party, Cheryl! You’re more than just a Tidy Mom ~ you’re a history teacher. 😉 Thanks for sharing the story of Peanut Butter ~ I had no idea of its history…until now! Have a wonderful week, Cheryl, and thanks so much for hosting. Thank you so much for the party, Cheryl! Oohhhh…I love peanut butter. What a great roundup! Oh my – peanut butter is a wonderful thing. Mmmmmm. Have a fab weekend Cheryl!! I love all things Peanut Butter…. and with 10+ inches of snow headed to Indy, I’m on my way to the grocery… Thanks for the great recipes. 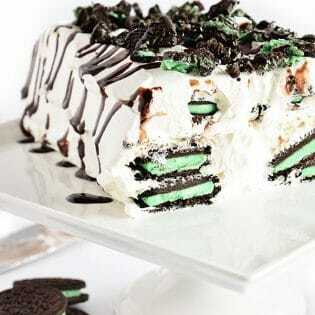 I’ll have plenty of time in the kitchen this weekend. Now… which one to choose? 🙂 Have a great weekend!! Great Party! Thanks for hosting again this week. We really love visiting your blog and seeing all the fun new things. I love peanut butter! Thanks for the great roundup! You’re singing my tune, Cheryl! 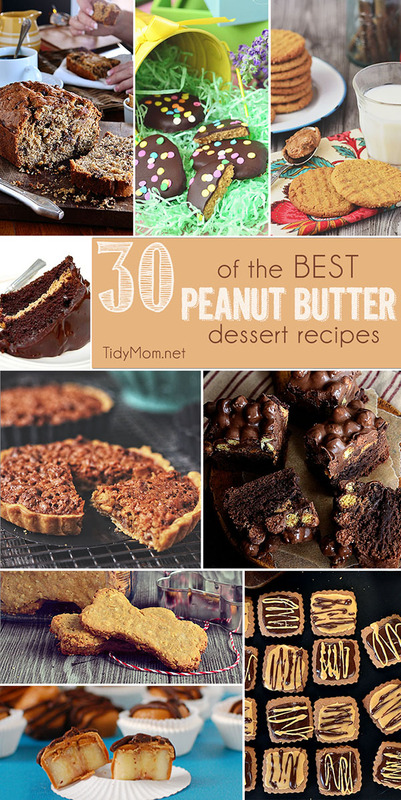 Pingback: 30 Peanut Butter Dessert Recipes Roundup!